They survived the Great Patriotic War carrying its horrors through their lives. On the eve of the 70th anniversary of victory over Nazi Germany, RT interviewed 70 war witnesses who recount their wartime memories. 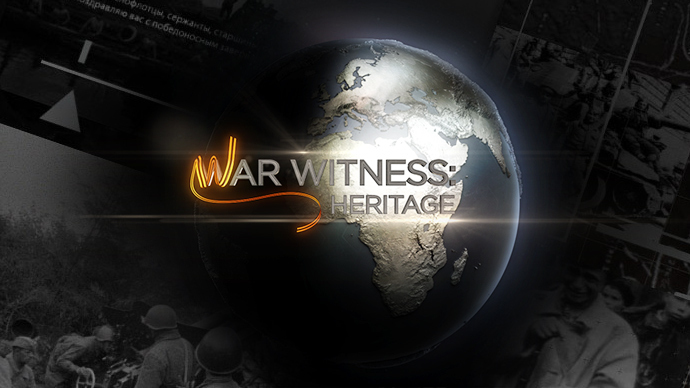 Every day until Victory Day on May 9, RT will publish an interview with a war witness telling their WWII story. They all fought at the frontlines, participated in war efforts or witnessed the violence at close quarters when they were still children or teenagers during the Great Patriotic War. The stories told by war witnesses are accompanied by reactions from their grandchildren, who thank their heroes, wishing they will never have to see the horrors of war. During the Siege of Leningrad when Nazi Germany’s army was blockading the city for nearly 2.5 years, deaths by starvation became a part of everyday life. Tatyana Korsakova,78, says she lived under the blockade for two years. She recalls that one had only 125 grams of bread a day and people made soup from wood glue. Anna Pryadkina, 93, participated in the Kerch-Feodosia Landing operation in 1941-42. She recounts how medical operations were carried out. She says that there were no surgical tables – instead people were operated on old camp-beds. Soldiers who desperately wanted water after losing a lot of blood were helped by children who sucked the water from stones. Arkady Krupennikov who was only 18 years old during his deployment to the First Ukrainian Front in 1943, says that one of his most vivid memories is how he was shot in the face.